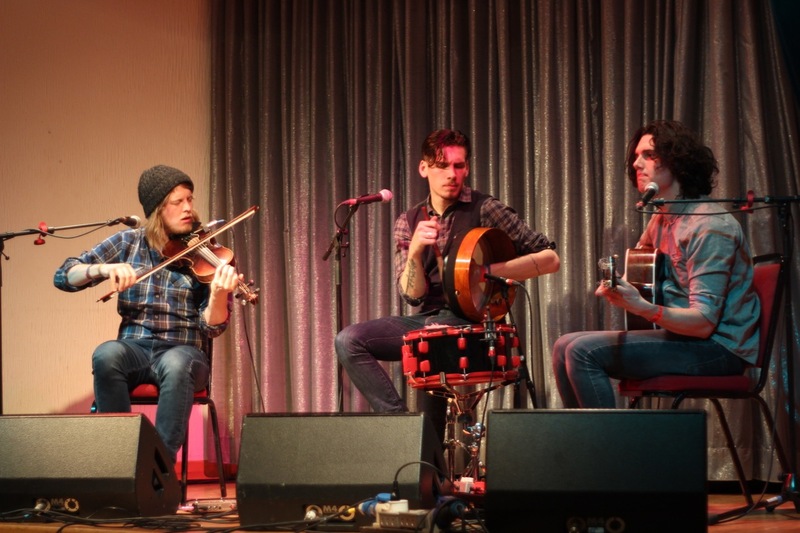 FRIDAY’S folk festival gig at the Sandwick Social Club flew in, writes Louise Thomason. Opening the show and making their debut at the festival was local act Tru Nort. The five piece covered tracks by Little Big Town, Alison Moyet and Nancy Griffith and had an easy, relaxed vibe to their performance. The first of the visiting acts were banjo duo The Lowest Pair with a set of old and new songs. Their pared back performance was intense and intimate, the vocals of Kendl Winter reminding me a little of Anais Mitchell and blending perfectly with the husky tones of Palmer T. Lee. 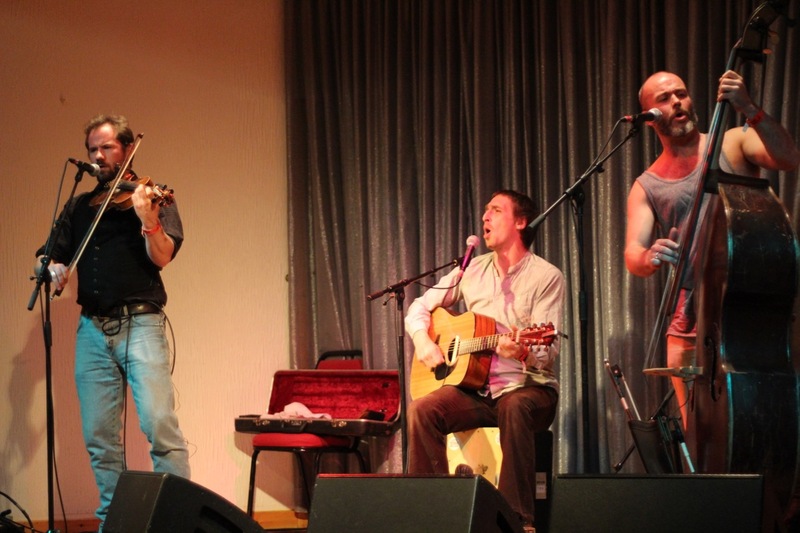 Fast paced or slow, their music has a darkly atmospheric quality steeped in storytelling and poetry. After the break, it was the turn of local act Finebymidi to take the stage. Fiddle-playing sisters Catherine and Sarah Brown performed Scottish, Irish, Cape Breton and Shetland tunes and some of their own compositions, accompanied by guitarist Robbie Leask. Theirs was a fine performance – it’s clear they have a real joy for music and it was refreshing to watch an act so evidently loving what they do. The next act produced the first and only dancing of the night. It’s a shame that there isn’t more boogying at the village concerts – I guess it’s a toss up between a listening, attentive audience and a perhaps less focused Clickimin crowd, but I feel for acts with music that is begging to be danced to when faced with a stationary audience. Still, The Langan Band got two folk up dancing – though that’s no measure of their music. With a huge, soulful, Balkan inspired sound they had the room clapping along and stamping their feet, the virtuoso fiddle playing of Alastair Caplin marrying beautifully with Dave Tunstall’s dynamic double bass playing and the soaring vocals of guitarist and frontman John Langan. With haunting ballads and fast-paced tunes, their set was over in a flash. The night’s final act was Prince Edward Island trio Ten Strings and a Goatskin. The young act, consisting of fiddle player Rowen Gallent, percussionist Caleb Gallent and guitarist Jesse Périard, play Acadian, Scottish, Irish and French tunes with energy and authenticity. While they said singing wasn’t their forte they performed songs in both French and English with heart, sounding a little like a modern Stan Rogers on Kay Sutcliffe’s poignant miner’s strike ballad, Coal Not Dole. 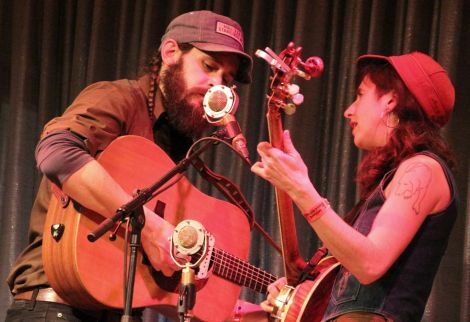 You wouldn’t be unusual if the prospect of sitting for a four hour-long concert produced a bit of apprehension, but somehow, folk festival gigs never seem to feel as long as they are. If anything, the past two nights’ concerts have only left me wanting more.